It may be March but it's still cold! I'm currently writing this whilst there is about 4 inches of snow outside - it was definitely a lot warm when I shot this outfit in February with Adam. I want to go for a location that went with the colour scheme of my outfit but with a bit of architecture thrown in. As I've said in my previous fashion post, I LIVE in this coat, as you can see you can even style up a casual outfit with this coat and make it look stylish and classy. Black jeans are always a staple in my wardrobe and these are actually my only pair I own! (From Primark of course) I love the skinny fit and how comfortable they are, adding in a gold detail belt makes all the difference too and brings the outfit together more. Can you tell I'm liking the camel colour lately as well as black? This scarf from H&M I wear every single day! It's such a cosy scarf and I've been looking for one like this for like a year, but I'm really fussy when it comes to the right material, feel and style of these scarfs, and this one ticks all the boxes! The same goes for my little rucksack I ordered off ASOS during Christmas is one of my little go to bags when I'm out for a long day out, it's like a mini tardis and fits everything I need in it! This jumper is actually SO snuggly and warm! I've honestly worn this so many times! It even came to Liverpool with me - which you can see in this vlog. I've even wore it to work on dress down Friday's so many times with my timberland style boots. It's even a great jumper to just throw on when your lounging in the house or just walking the dog in the cold weather as it's just so cosy and warm. This baker boy hat also brings the outfit together nicely and it's an accessory that I have also been living in. I was scrolling through ISAWITFIRST and came across it in the sale for £5! I haven't worn a hat like this since I was like 12! I used to live in these style of hats as a kid and I wonder why I ever stopped wearing them as they are so stylish and retro - which is very much my style! 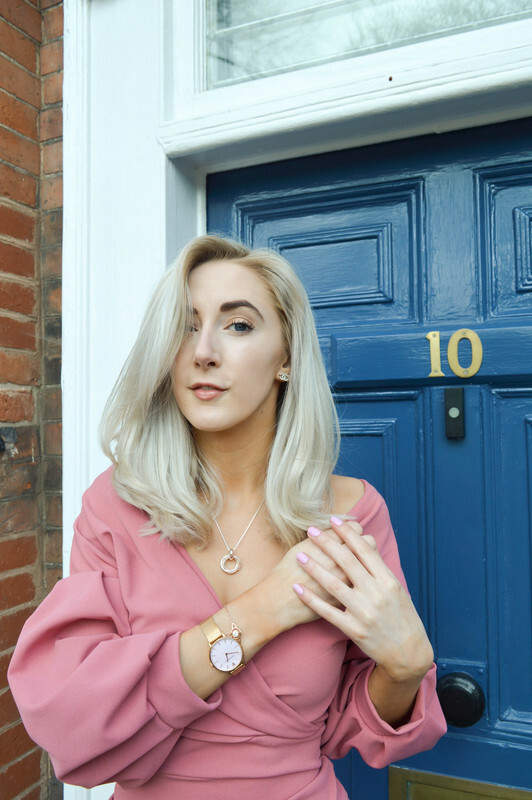 Just a quick mention on my necklace and ring that your can't actually see that well, they are also accessories I've been wearing a lot and I will be writing a completely separate blog post on them in more detail. For now, see you in my next post and thank you for reading! Love so so much this dress!! Specially the boots! !